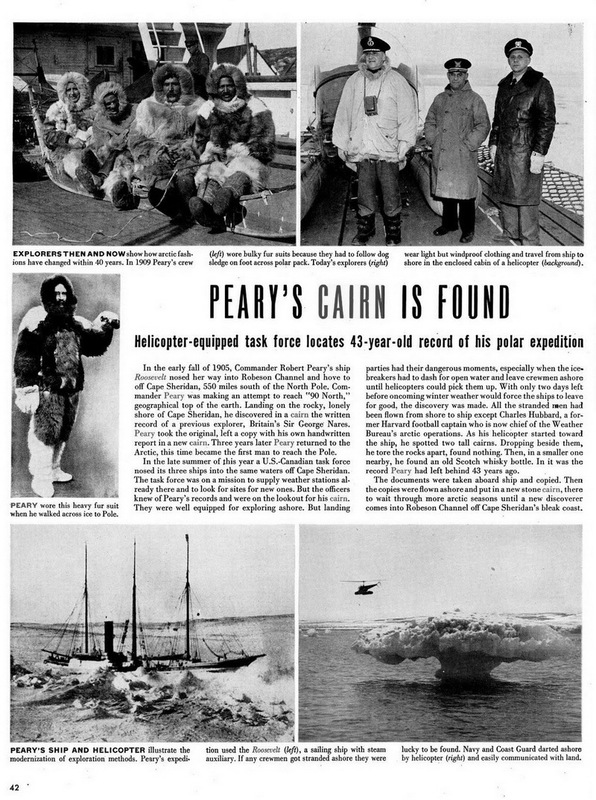 In July of 1948, members of Task Force 80 found several cairns marking previous arctic expeditions. 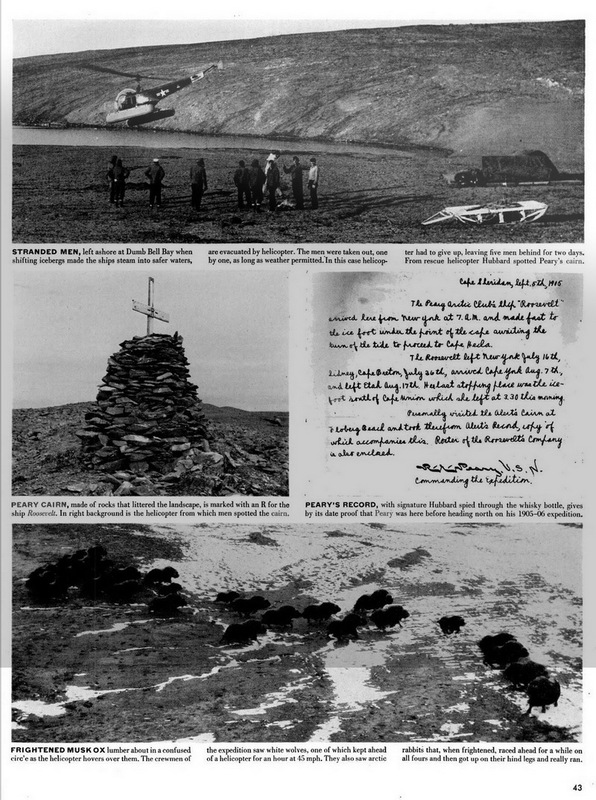 One was the Roosevelt Cairn, marking Adm. Robert E. Peary's 1906 attempt to reach the north pole. He succeeded on April 6, 1909. Life magazine published an article regarding the Roosevelt Cairn find.